Home / Archive by category "custom-shapes"
Bring Any Event to Life with an Inflatable Character Replica! Inflatables are great for a variety of events. You can use your character replica at Comic-Con, Wonder-Con, Gen-Con, and so much more. Character replicas are great for these types of events.Inflatables are a fun way to show off everyone’s favorite movie, TV, or game character. In the past, we have done character replicas of some fan favorites. From Adventure Time to Rick and Morty, you will grab everyone’s attention. Convert onlookers into die hard fans by drawing them in with your very own inflatable character replica. 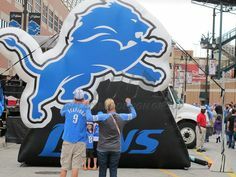 Customize your inflatable to match your special event! 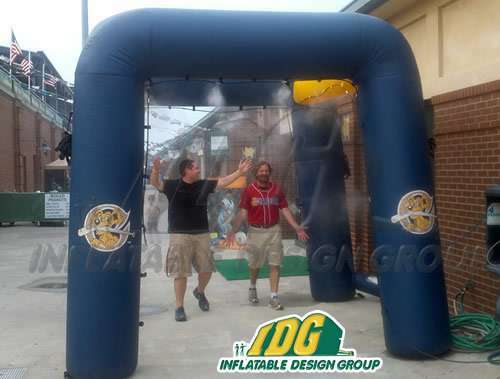 Here at Inflatable Design Group, we aren’t satisfied with a product until our clients are. That is why we work closely with you from design to inflation. This is to ensure you are receiving a quality product and excellent customer service. Inflatable character replicas are THE new way to advertise. No one can ignore a massive creation of well known characters. In fact, people will line up for the opportunity to take photos with your inflatable. These insta-worthy inflatables are just another great way to get your name out there and to increase your fan base. 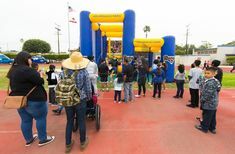 In addition to the photo opportunities and unique advertising benefits, inflatables are easy to maintain and set up. No matter where you are, your inflatable can come along with you! So go above and beyond and make your booth at the next Comic-Con EPIC. 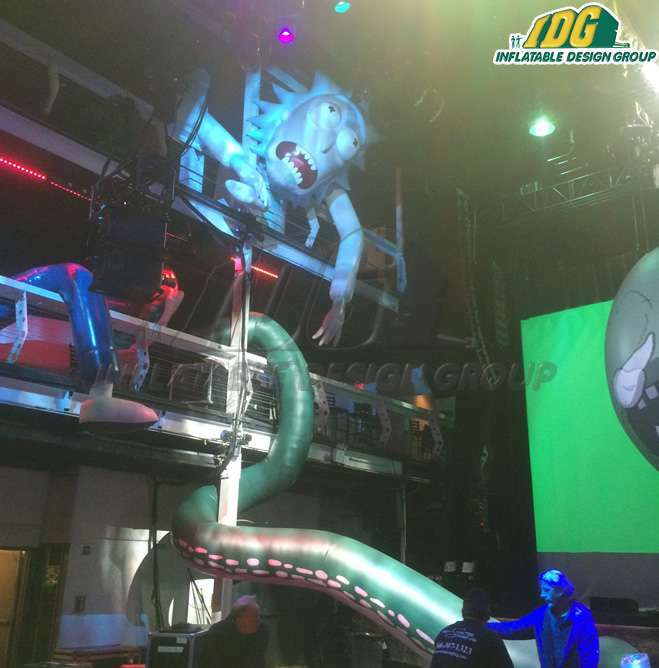 Check out our website HERE and see exactly what Inflatable Design Group is capable of! We want to help you create the inflatable of your dreams. Want to learn more about how to get your very own character replica? Send us an email to info@inflatabledesigngroup.com. We can’t wait to get started on your inflatable journey! 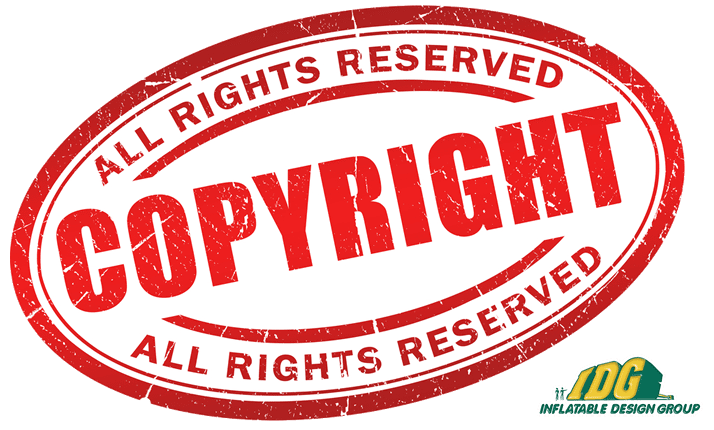 Unique ways to have a one of kind educational experience with a custom inflatable. Medical Inflatables Doing Good in the World! 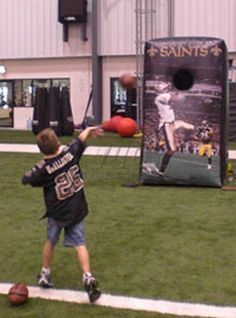 A custom inflatable is ideal for any event because it is customized to your needs! Medical inflatables can draw a big crowd and be a great landmark at your next event or healthcare symposium. A 3D walk through experience will be remembered as you touch and feel your way through each inflatable exhibit. The 3-D Inflatable brain showcases various elements inside the brain such as the brain stem, cerebellum, tumors, and much more. The 3-D inflatable breast has toured across many cities in the United States to raise awareness and be a great educational tool. This unit is a unique, informative and interactive custom inflatable. The 3-D interactive colon highlights a part healthy colon and the other side shows polyps and cancer. The unit comes in various sizes and is easy to set up and transport. Check out some of the highlighted 3-D interactive medical inflatables we have on our site or create something new? So, promote and educate with custom medical inflatables! Quench your thirst with inflatable beverages! It’s hard to believe November is here and the holiday season upon us! 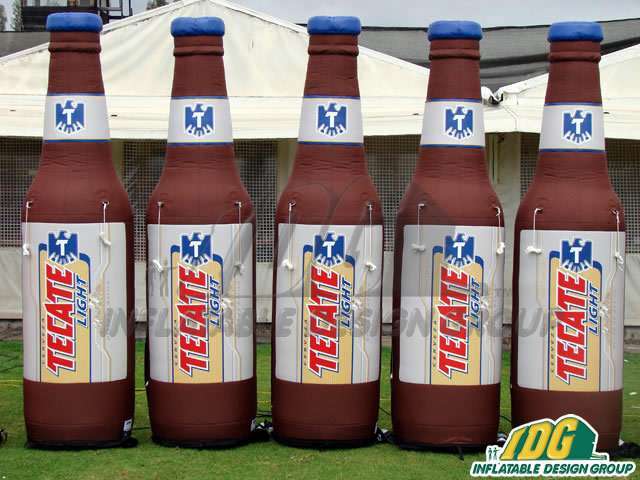 Inflatable beverages are your holiday season go to. Nothing like a cup of joe to warm you up as you shop around for those holiday presents. Inflatable product replicas such as these GIANT inflatable mugs and coffee cups are a great way to bring in weary shoppers. Inflatable Product replicas are some of my favorite inflatables because you take that one product, food item, drink, candy bar and you make it BIG! Your product is showing off BIG TIME! We all like to show off from time to time and bigger is better to help leave that lasting impression. We can make GIANT inflatable presents as well… just need a GIANT inflatable tree to put them under! 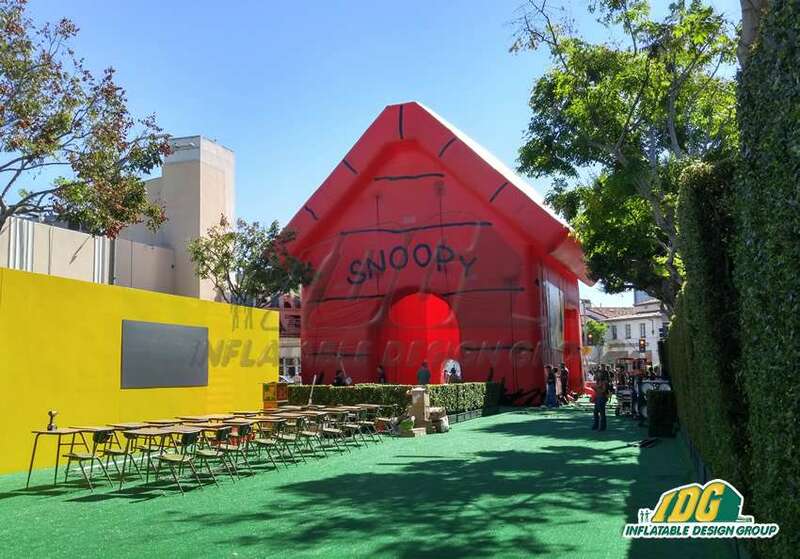 Capture the crowds attention with 3-D inflatable marketing. 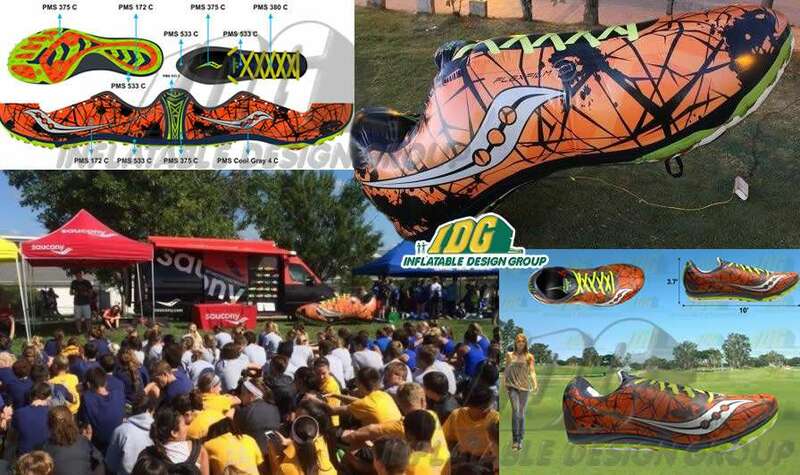 Win over the crowd with a giant inflatable shoe while promoting your brand. Get the crowd visually engaged with your product that is LARGER than life. 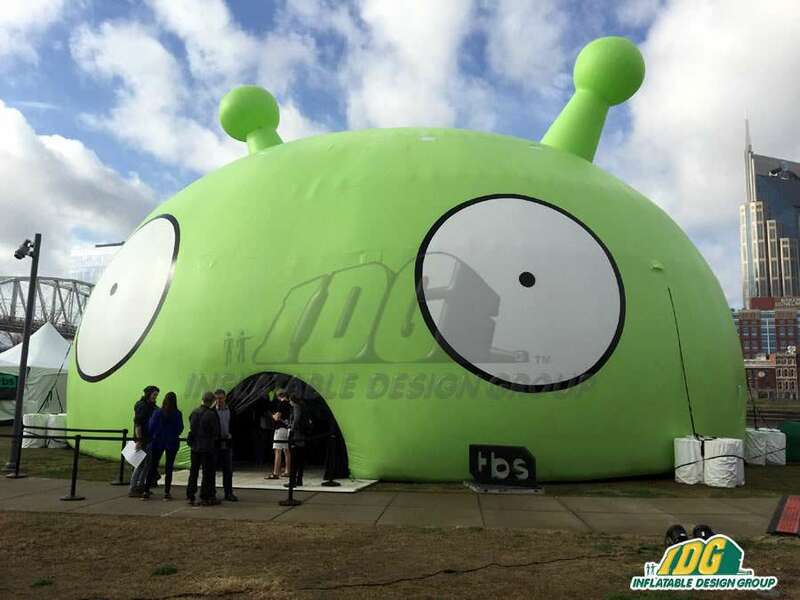 Create any inflatable imaginable to market your brand or product! Our team is ready to make your inflatable dreams come true. 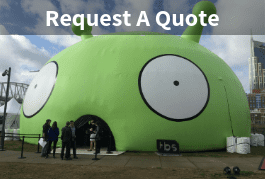 No matter what your business or product, there can be an inflatable for you! This awesome inflatable SAUCONY shoe is a great way to “kick” off shoe sales. So, giant inflatable product replicas can leave a lasting impression. Saucony designs high performance running shoes and great for runners and fitness enthusiasts. 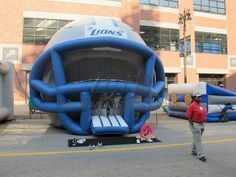 A GIANT inflatable will grab lots of attention at your event! 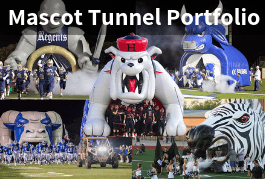 Custom Inflatables with MAJOR VISIBILITY and IMPACT! This Giant inflatable is on the rooftop of the Discovery Cube building. The inflatable billboard won’t be missed. But most of all, bring the fun to events events everywhere with inflatables! So, check out this awesome event! Calling all budding bubbleologists! Join Discovery Cube for our most popular attraction March 26 through April 10, 2016. 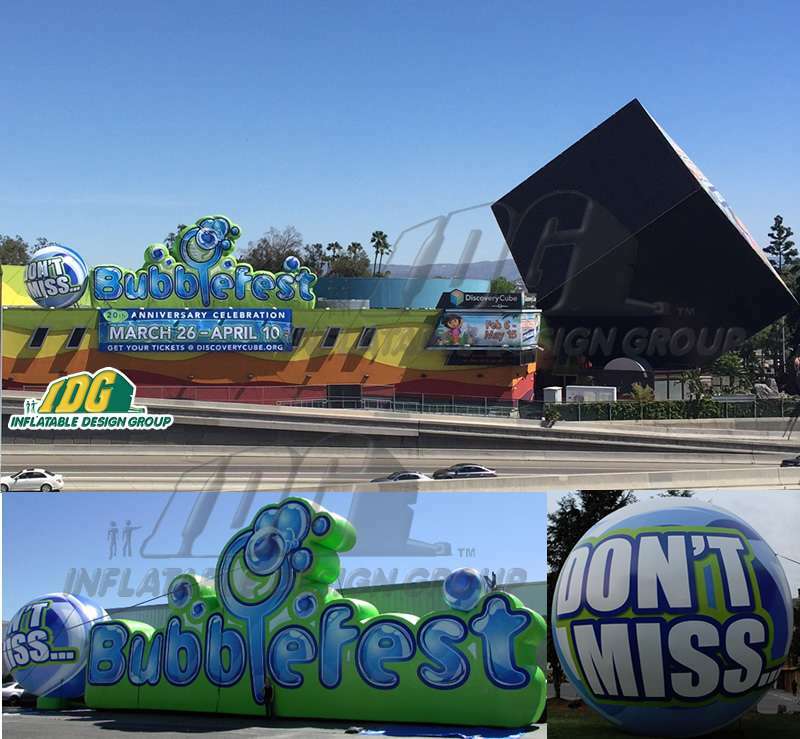 For over two decades, Bubblefest and the Mega Bubblefest Laser Show have thrilled and inspired audiences across the southland. 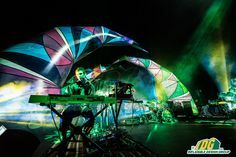 This year’s celebration will be bigger and better than ever, featuring the Mega Bubblefest Laser Show and indoor Bubble Zone with plenty of hands-on, soapy bubble exhibits. So, start your inflatable journey today! Inflatable Creations from IDG are show stoppers! The 88th Annual Academy Awards brought a lot of Hollywood glitz and glamour to the stage last night. Walking the red carpet will always be our dream! But, our inflatable certainly have had their spotlight moment. 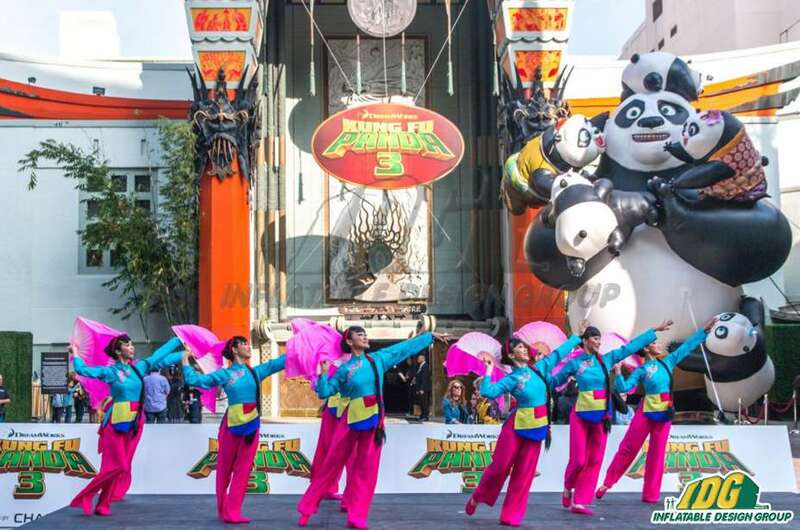 We have been honored to be a part of many inflatable creations for movie premieres, Comic Con, set decoration, and many inflatable stage set designs. 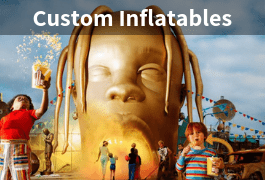 Inflatable Custom designs are a unique craft. Our team patterns each inflatable with precision. Experienced craftsmen cut and sew each piece of the inflatable and transform them into wonderful works of art. 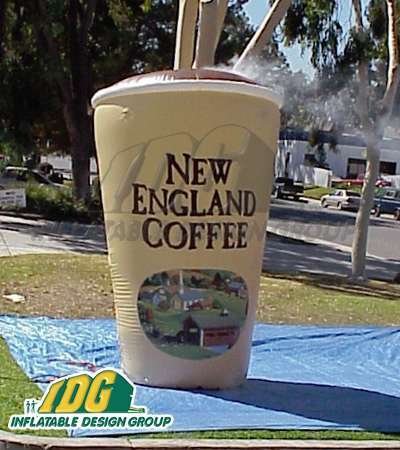 Inflatable Design Group can transform an idea into a custom inflatable that is one of a kind. Our team patterns each inflatable with precision. Experienced craftsmen cut and sew each piece of the inflatable and transform them into wonderful works of art. Everyone always celebrates Valentine’s Day which is a great way to focus on HEART MONTH. 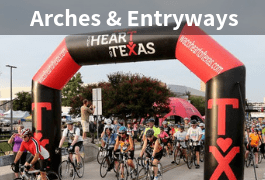 We would like to focus on interactive inflatables and Interactive Exhibits showing off their “ WALK AROUND” Heart exhibit. The interactive aspect of this amazing inflatable shows the healthy and unhealthy sides of a human heart. So, this unique inflatable is an educational tool for all ages. Heart disease is the leading cause of death for men and women in the United States. 1 in 4 deaths are caused by heart disease every year. But that doesn’t mean there isn’t good news. Prevent heart disease by making healthy choices and managing your health conditions. Communities, health professionals, and families can work together to create opportunities for people to make healthier choices. So, make a difference in your community. Spread the word about strategies for preventing heart disease and encourage people to live heart healthy lives. 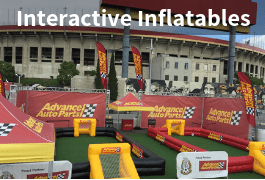 Summer is coming upon us pretty quickly, and with it comes the need for customers to order giant outside inflatables for various large outdoor events. 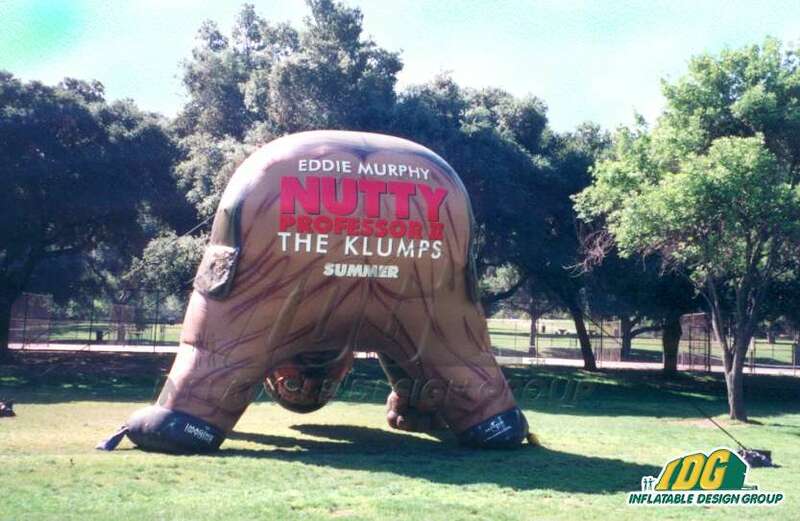 When it comes to summer events, there are many giant outdoor inflatables for various occasions. When the sun is at its hottest is also the time when schools are out. This means a lot of family activities within their communities. It’s quite common for people to attend their favorite carnivals, fairs, and various festivals. Summertime wouldn’t be the same without these large outdoor events. 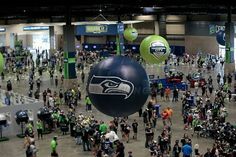 As such, many event organizers recognize the need for many different, large outdoor inflatables for their events. 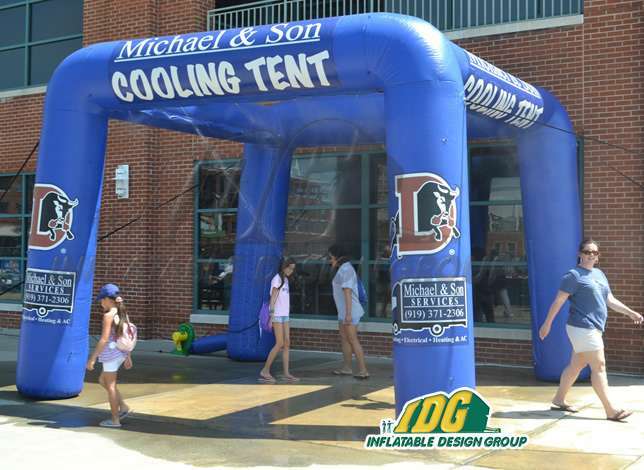 An example of outdoor inflatables used at such functions includes money machines, inflatable entryways, misting stations, tents, and giant inflatable promotional pieces for themed events. Some larger events may have corporate sponsorship. 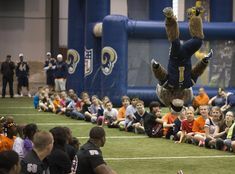 For events like these, it’s quite common for giant outside inflatables that are product replicas to be shown. Imagine a gigantic Coca Cola bottle to designate a drink vendor area, as an example. Even giant entryways can have corporate logos built into them. So, it’s really up to the event organizer and the purpose of the event. Other outside inflatables that are great for large sunny events are inflatable tents. So, the blazing sun is sure to scorch attendees to the point of seeking a safe haven in the form of a tent. Some other items can be misting stations to cool off under a unit that mists water, instant relief on a hot summer day! 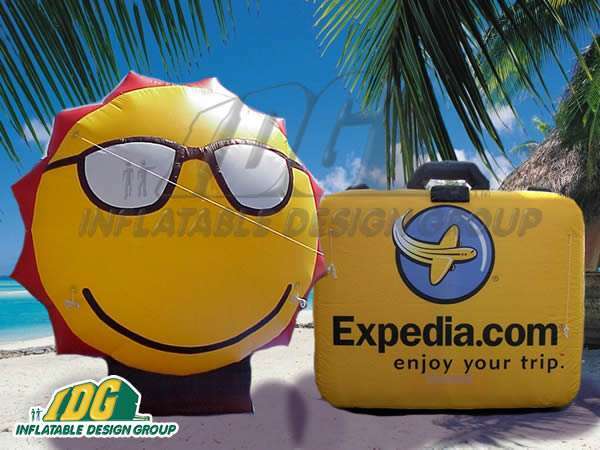 So, prepare for summer time with a great looking inflatable from Inflatable Design Group! Red Nose Day is a campaign dedicated to raising money for children and young people living in poverty by simply having fun and making people laugh. 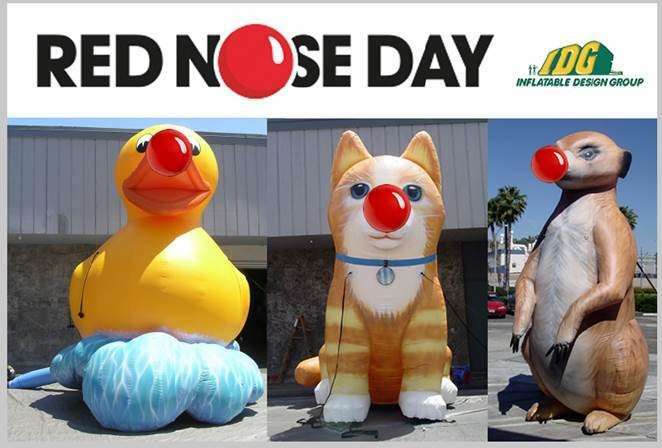 The inaugural Red Nose Day will be held in the US on May 21st, 2015. People across the country will come together to have fun and raise funds and awareness. We believe in a just world free from poverty and use the power of entertainment to create positive change in the world. IDG supported the Red Nose Day 2015 and so should you! 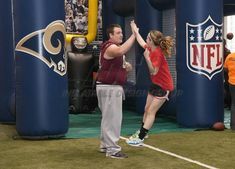 We also had a little fun with some inflatables to support this great cause! Using the power of Inflatables to promote education and awareness! So, share laughter and happiness this May 21st! Fred Simon is turning 90 years old today! Happy Birthday to the man behind Freddy’s Restaurant! A big birthday salute from all of us at Inflatable Design Group. This birthday is a very special one indeed because of our close connection to Fred and Freddy’s Restaurant! 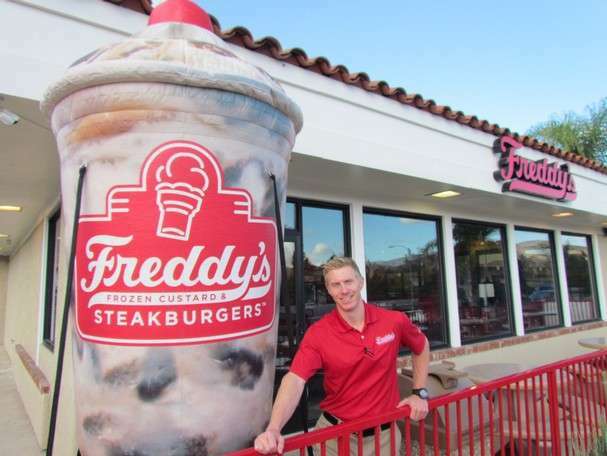 Take a look at the awesome inflatable we made for Freddy’s! We have been excited to work with Freddy’s Restaurants in manufacturing a GIANT INFLATABLE / Product Replica of one of their best menu items, a frozen custard TURTLE SUNDAE. 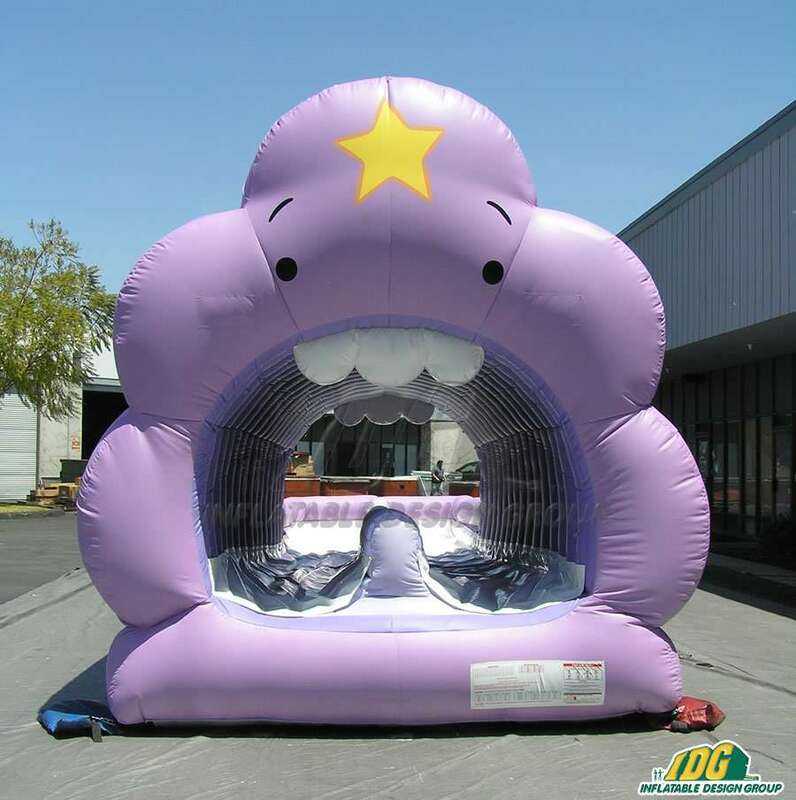 Make your mouth water by just looking at this custom inflatable product replica. Our team loved working with Freddy’s to create this delicious masterpiece. The turtle sundae is tasty treat! Make sure to grab one for yourself by visiting a Freddy’ Restaurant near you! We definitely will be indulging in a turtle sundae treat too! Check out their web site at www.freddysusa.com and celebrate the day! See all the scrumptious menu items that Freddy’s has to offer. You won’t regret dining here! 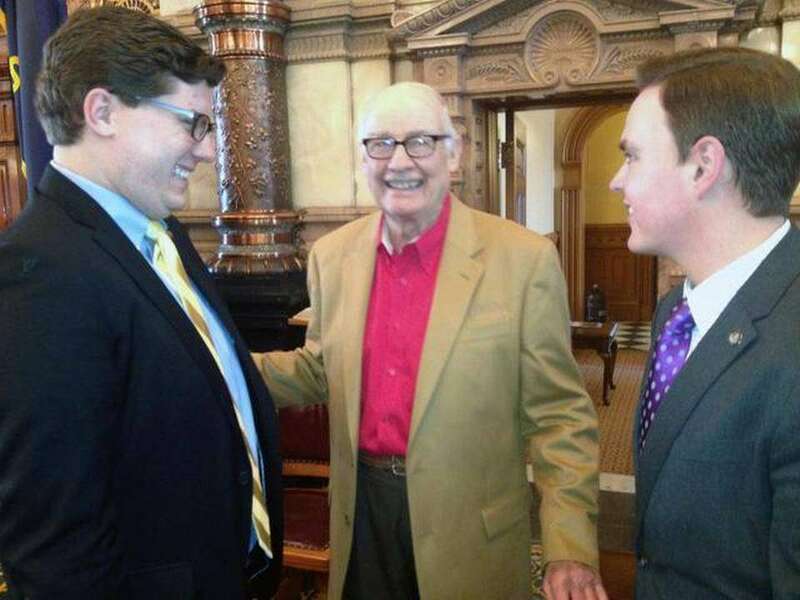 And yes, I am extremely proud that Fred Simon is my great uncle! It was an honor being able to work and celebrate great accomplishments with my family. Giant Custom Inflatables will work for you. In today’s competitive marketplace companies are constantly searching for a way to advertise their business or product. In the current marketplace people are looking for inexpensive ways to reach consumers and drive more business to their location. If you are looking for an easy and effective way to advertise then GIANT Custom Inflatables are an excellent option to consider. Use your inflatable indoors and outdoors. Tower above your competitors. Make your business be seen for miles with custom inflatables. So, take inflatables to every event! Storing and packing inflatables only takes minutes. Advertising inflatables can be any size or shape. An 8’ H Bottle promoting your new beverage or a 30’ H ROBOT towering over a crowd. Stand out and leave a lasting impression with inflatables. Another cost saving detail about advertising inflatables is that they can last for many years. Outlasting any other conventional means of advertising. Designed out of vinyl coated nylon, advertising inflatable are built to last. Use your inflatable over and over again by maintaining good care of it. Dissatisfied with the results from other forms of advertising? 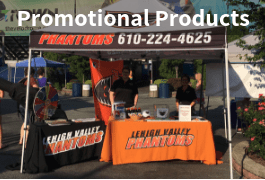 Looking for a hot new way to promote your product with a WOW FACTOR? Look no further than Inflatable Design Group! So, put GIANT CUSTOM Inflatables to work for you! 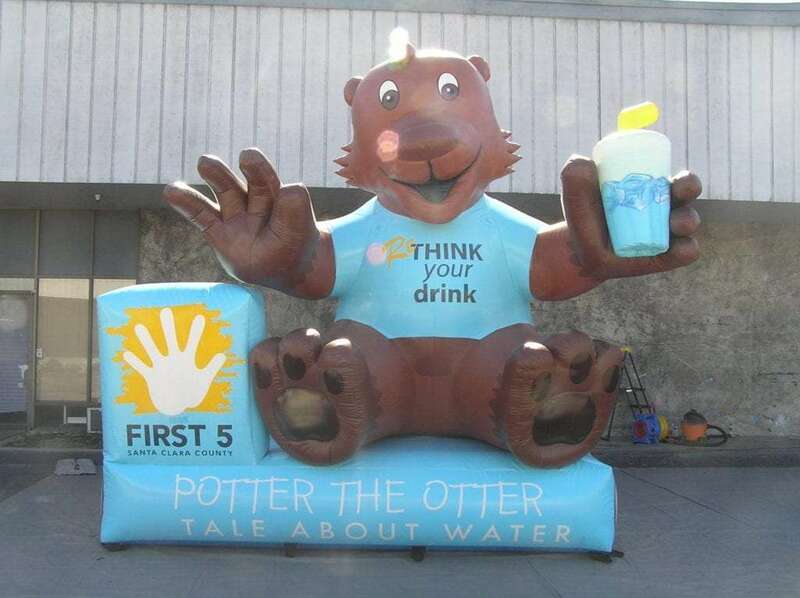 Custom advertising inflatables are your go to product this year! 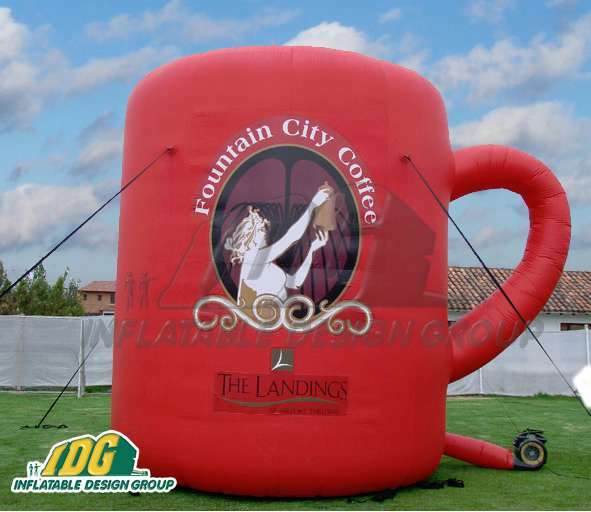 Make your business or product stand out from the crowd with the help of Inflatable Design Group! We have had the pleasure this past few years of working with some of the biggest companies in their respective industries to create a giant version of their product, making it as real and similar to the actual thing as we possible can. So, we strive on paying attention to every single tiny detail from start to finish. Working with Coleman and creating giant inflatable camping equipment was a really fun project. 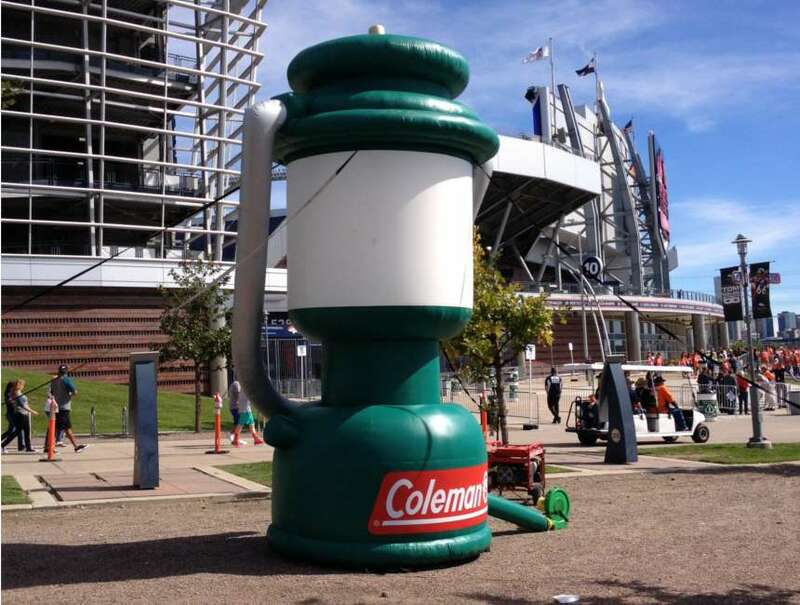 This particular camping light came out great, and Coleman was able to achieve exactly what they wanted by displaying this to their target market. People walked by the inflatable replica and paused for a second admiring the creativity, and then kept walking. In advertising, to get an individual to ponder for even one second about your brand is a total success. So, make it memorable with custom advertising inflatables.